When you think of Colorado – you probably envision its rocky canyons and snow capped Mountains. It’s a state known for its natural wonders – making it one of the best places to hike. 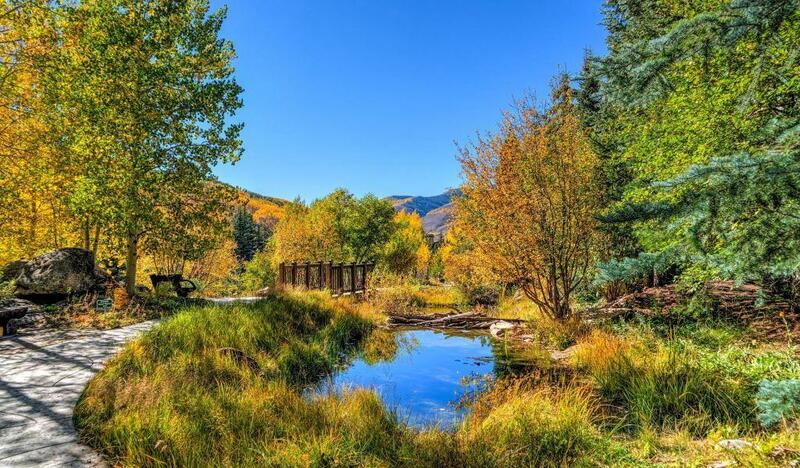 There are 5,683 miles of hiking trails in Colorado, so you have plenty of most beautiful hikes in Colorado. The state has even created an interactive online map to track them. Here are seven of the best ones, along with some important tips for planning your visit. Bison Peak is considered one of Colorado’s best trails for the early summer months. It’s a safe bet for anyone who’s looking for a peaceful hike away from tourists. Bison Peak is generally easy to access – and it’s relatively quiet. That’s because this trail is in the lesser-known Tarryall Mountains. The hike is about 11 miles round-trip. It usually takes about six hours to complete, but it’s worth it. Its summit will bring you to a moment of Zen. It leads you 12,000 feet high to a maze of rock towers – also known as a rock garden. If you’re looking for a challenge, Pyramid Peak is one of the most difficult day hikes you’ll find. Most people are able to finish it without any technical gear, but you may want to bring a helmet. You’ll need to pull some tricky rock climbing maneuvers to hike these eight miles. The trip tends to take eight to 10 hours for many hikers. The summit is 14,000 feet – and accompanied by mountain goats. San Luis Peak is a laidback 13.5-mile trail that’s packed with views. You’ll want to bring a camera for this one. As you gradually climb to 14,000 feet – you’ll see the forest, ponds, and meadows of vibrant flowers. The summit is a view from the San Juan mountain – looking over Colorado’s natural beauty. Mount Elbert is home to Colorado’s highest peak: 14,443 feet. This nine-mile hike is relatively simple. It follows a definitive trail to the summit. Beware, though – you’ll think you’ve reached the summit several times along this hike. The views are great, but you’ll be let down about two times because you’ll realize you still have a ways to hike. Once you finally reach the summit, you’ll be overlooking ponds and greenery for miles. Garden of the Gods is a National Natural Landmark because of its sandstone towers. It tends to be a more crowded area because of said towers and its gorgeous flowers. Many of its trails are simple and accessible to anyone. There are six trails to choose from. In all, they add up to about 16 miles. However, each individual is about 1 to 3 miles, so they’re quick and easy. The Central Garden Trail is just one mile round-trip, and it only climbs 30 feet. It’s the best place to start, though, because it will take you right to the heart of the park. The summit brings you to the base of the tallest towers. From there, you can choose which trail is next and make your own adventure. Devil’s Head Lookout is best known for its incredible summit. This trail is 2.7 miles. You’ll start off hiking through a piney forest with rock formations – until you reach a 143-step stairway. These steep stairs will bring you to a historic fire tower. This lookout is more than 100 years old. It’s the only one that’s still operational in the State of Colorado. At the top, you’ll have a view of Colorado’s gorgeous red mountains, rock formations, and spruce trees. Royal Arch is a more difficult trail that will have your legs burning. This 3.3-mile roundtrip hike is steep. It climbs 905 feet in just one mile. This starts off in a meadow, and gradually becomes rockier as you approach the summit. Once you reach the top, you’ll find a giant rock arch – a great photo opportunity. Besides that, you’ll have a view of both the north and south sides of the Front Range. This trail is also very popular, so if you want to avoid the crowds – try hitting it early in the morning. When planning your trip, there are some important things to consider. First, stay in an area close to the trail you’d like to hike. The town of Estes Park is considered a good choice because it’s so close to Rocky Mountain National Park. There are more than 350 miles of trails in this park alone. It’s nestled right in the mountains, about 90 minutes northwest of Denver. The timing of your hike is also crucial. Colorado is cold and snowy during the winter months. Its average low temperature is just 17 degrees. With that low temperature comes snow. Crested Butte, in the western part of the state, gets the most. On average, it is hit with 216 inches of snow per year. Meanwhile, the more popular tourist attraction – Colorado Springs – gets about 37 inches per year. All that snow makes it all the more crucial to time your trip carefully. The winter snow in higher elevations lingers through the summer. A general rule of thumb is to schedule your hike for mid-July at the earliest. However, your best bet is August. The snow should be melted by that time. On top of that, the worst of mosquito season has generally passed by the end of August. Overall, your trip depends on what you want out of it. Pick a trail that fits the type of hike you’d like to have – then plan accordingly. Proper planning can make all the difference into how your trip turns out.